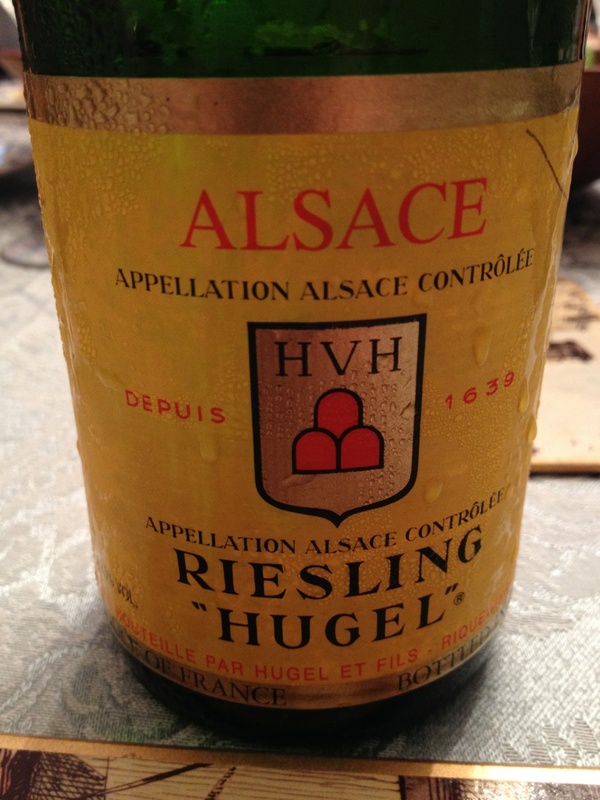 Hugel & Fils Riesling 2011. Riquewihr, (Alsace) France. 12.5%ABV, $20/bottle, street. 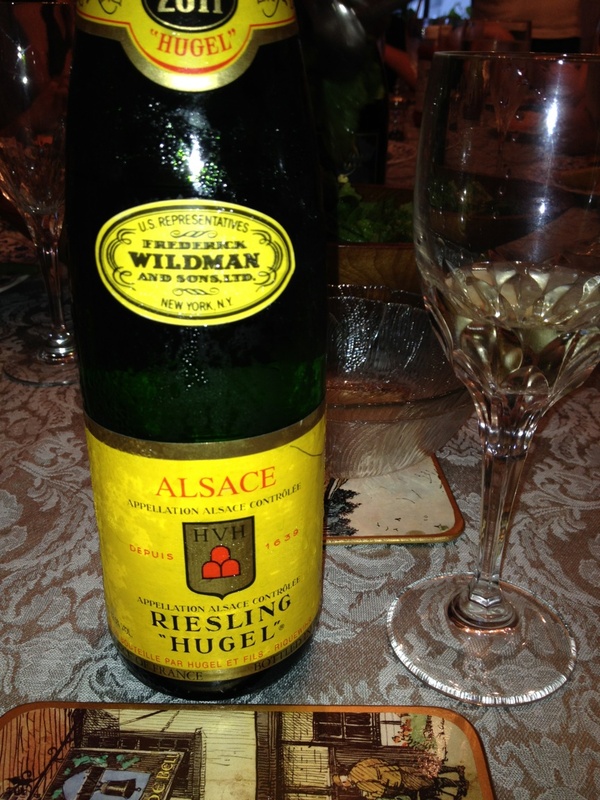 In the realm of riesling, Hugel has been doing it since 1639, and it shows. A color of pale straw with excellent translucence. Wildflowers, honeysuckle, and a hint of petroleum on the nose. Muted fruit on the front palate: apricot, granny smith apple, and white pear. Terrific acidity follows- this wine is bone dry, upper palate showing notes of walnut, shale and schist while the back palate had notes of ginger root, allspice, lemon zest and flint. SO much is going on in this wine! I served this at a dinner with baked salmon and a mushroom quiche as the entrees and was worried it might be overpowered, but had no reason to fear- it cut through the palate easily, stood up to the strong flavors of the fish and mushrooms and was an ideal complement for the meal, and continued on through my niece’s birthday cake and fruit compote for dessert. If you want a perfectly dry riesling that sings of delicate fruit, minerals and spice without a hint of sweetness for $20, this is a great choice- I may have to start stocking it in my cellar. 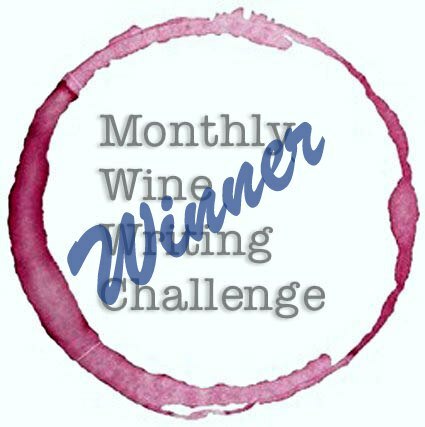 ← Wine from WHERE? Indiana?